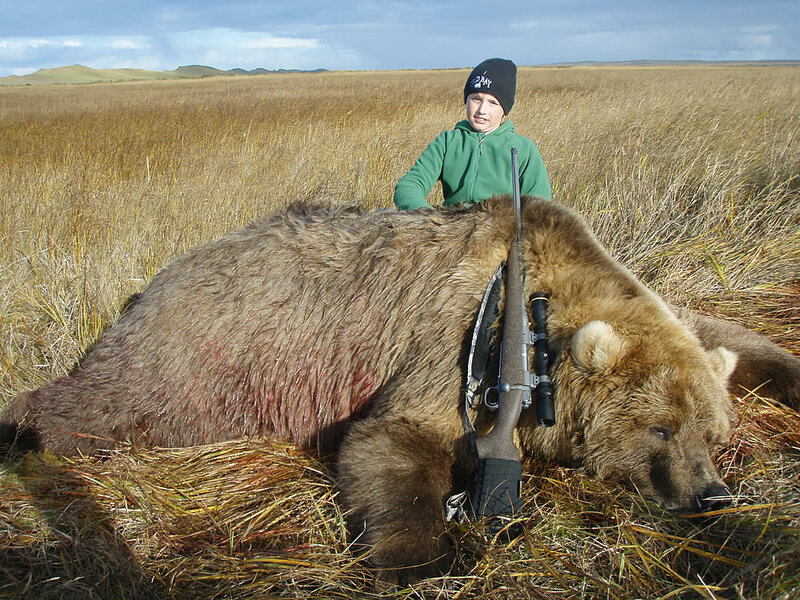 Known for its dense Brown Bear populations and controlled harvesting by a permit system, Unimak Island National Wildlife Refuge is undoubtedly the ultimate in Brown Bear opportunities. Unimak Island offers the nonresident a chance to hunt what is Alaska’s very best in Brown Bear options. This area is a consistent producer of Boone and Crockett and SCI trophies. When compared to other areas in Alaska, Unimak Island – in it own uniqueness, has proven itself to be superior. R&R’s Alaska Peninsula Guide Service holds one of only two special use permits to operate in this refuge. We have nearly a 100% success rate with only two unsuccessful clients in the last fourteen years. Our trophy average is over 9’6” with many squaring over 10’. You can expect comparable results should you draw a Unimak Island permit. The permit application system for Unimak Island is managed by The Alaska Department of Fish and Game. The application process is simple and R&R Guide Service handles the application process for their interested hunters. The odds of drawing a Unimak permit have been about one in fifteen for the applicants we apply. The cost to apply is $95.00 per year and nonrefundable. The Alaska Department of Fish and Game is implementing a priority point system starting 2011, so now is the optimum time to start applying and be at the top of the priority point list.